Yep, you read that title right. 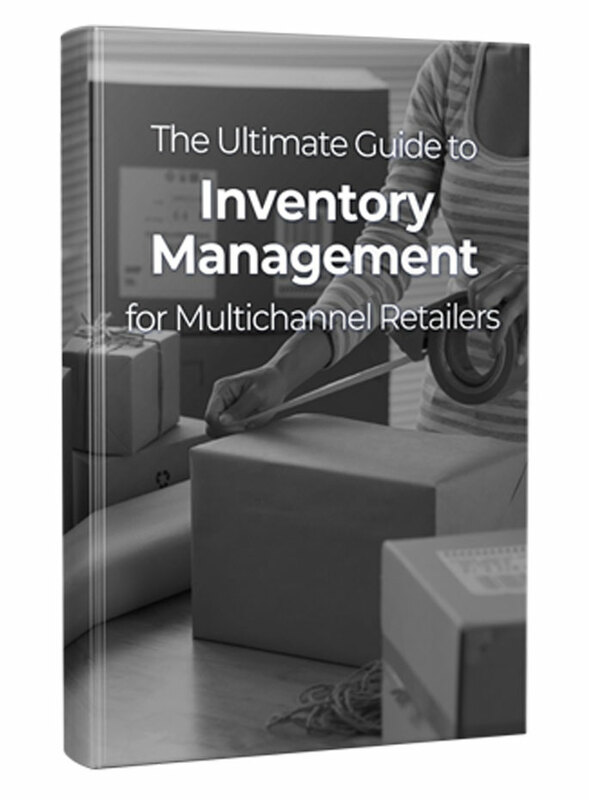 We’re going to share how to simplify the inventory process, without purchasing ecommerce inventory management software. Sounds counter intuitive to our bottom line, but the fact is that eventually all ecommerce businesses who want to grow revenue will need to invest in inventory software at some point (did you know our customers have grown sales by 23%, quarter over quarter? Cool, right?). If you’re currently experiencing the tell-tale growing pains (think overselling nightmares), then you may already be at the point where it’s time to find an inventory software tool to help. Until you hit that mark, or if you aren’t quite ready to accelerate your success, use these tips to simplify your current inventory process. 1. Delegate the task of who decides when to replenish. When you’re just getting your ecommerce business up and running or only sell a few product lines at a time, you probably know your product movement trends pretty intuitively. You know how quickly certain products may sell, and can predict with relative accuracy how much you need to reorder. That said, you may not have time to look on your website or marketplace every hour of every day to determine if it’s time to reorder. Assign this task to an employee who is trustworthy and efficient. Delegating this “status-checking” task will help prevent out-of-stock issues, and will give you some peace of mind. It’s up to you if you want to entrust that person with the reordering process and supplier relationships. Either way, assigning a watchful eye to dwindling stock will help your entire team stay abreast of what products are moving quickly. 2. Break your stock piles into categories. Resist the temptation to lump all of your products together. I don’t mean separate your lavender soaps from your rose soaps – I ‘m confident you could have figured that out. What I mean is, keep two separate piles of each individual product. Have two different stock piles for lavender soap – one for orders, another for replenishment that acts as a safety net. Only display on your marketplace or website the number of lavender soaps you have in your order pile. Do not include the inventory in your replenishment pile. Use this stock pile for emergencies, like if your lavender soaps start to run low and your supplier can’t get you new inventory in time to keep up with orders. A replenishment pile of each product (particularly best sellers) will help buy you some time if items get low before you have time to reorder, or to help keep up with unexpected sales surges. 3. Simplify packing and shipping. Place your high selling/high volume items nearest to your shipping station to minimize time spent picking and searching for those products amongst stock shelves. The easy access will reduce unnecessary labor time walking around your warehouse or work space looking for items, and will speed up the picking process. It will also keep you in the clear until you invest in an inventory management system that can automatically populate pick lists for easy picking and packing. If you’re ready to take the plunge with an inventory software tool, we recommend checking out our tips on finding the perfect inventory management software to suit your business. Or, try us on for size with our 15 day free trial. Another technique that works in a small business is to put a colored re-order slip on the shelf/bin where the item is stored. That slip will show reorder quantity and item information, the person pulling the order is to bring that sheet to me for re-order. I will add a note with the information about the incoming order (or no re-order) then it goes back to the shelf/bin. That’s a great idea Bill, thanks! If we write a follow up post with more tips, we will definitely include your suggestion.